Like any good hobby, board games definitely have their own culture. A part of that is due to the crazy obsessiveness of your typical board game afficionados but it also has to do with the way board games as an activity naturally bring people together in such a social way. Blogging about gaming culture and reading other blogs has the same effect and you start to feel connected to people all over the country and the world. 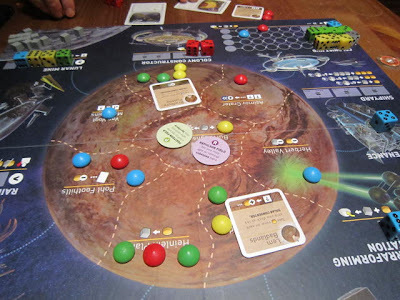 One board game blog that I quite enjoy reading is Board Game Reviews by Josh, maintained by Josh Edwards from Joplin, Missouri. That's right, Joplin, Missouri. I have to admit I was bit stunned as I read his latest blog post which was NOT a board game review this time but a description of his return home early from his vacation to get back to his house, or lack thereof. You should read his surprisingly positive and even at times funny article about coming back to the destruction after Joplin's massive tornado. You can also find out how to help. Our thoughts are with you, Josh, and I imagine you may soon be getting a lot of help rebuilding that game collection. Qwirkle - a new favourite of ours and we taught my partner's mom just this weekend. Fun, super, super simple, and much subtler than you think. Read how much I love the game here. Asara - Haven't played this but now I must. Kramer/Kiesling is not always successful, but they're always interesting. 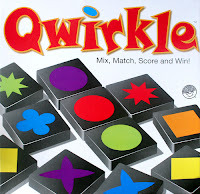 I actually kinda hope that Qwirkle takes it. 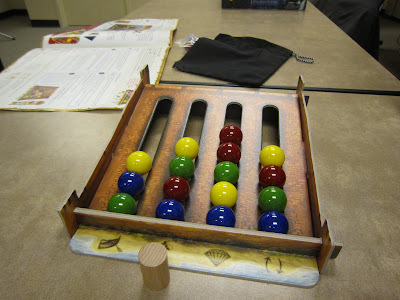 It's such a simple and elegant game/pastime and it's really quite enjoyable for all the members of a family. That, and Matt Leacock has already won tons of awards for Pandemic. 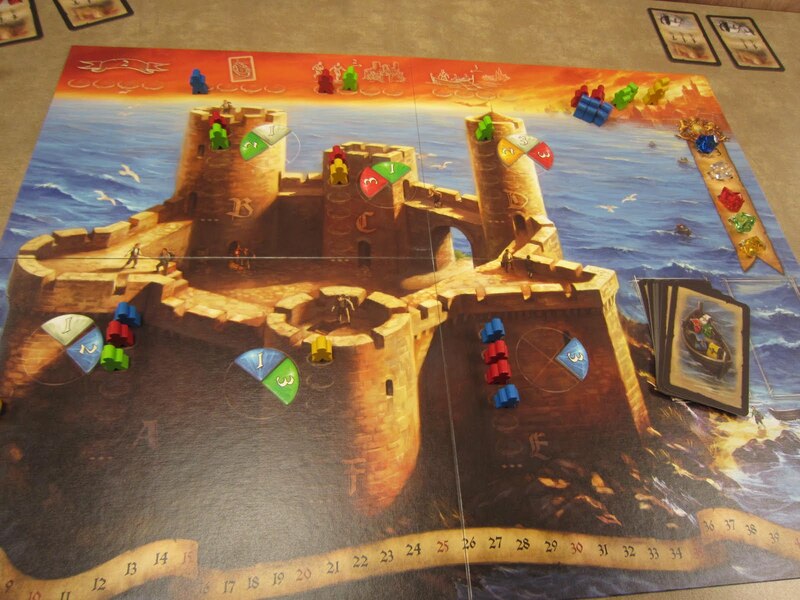 As for the special (more strategic) prize, I've only played one but I know it deserves it: 7 Wonders. Read why I think so here. If you've read this blog before, it's no big secret that I am and always will be a fan of Alan R. Moon. His modern masterpiece Ticket to Ride has seen more plays with my friends, families, and colleagues than any other game in my collection. And he has many other wonderful games - Elfenland, Oasis, and the brilliant San Marco to name a few - all of which remain go-to games around our place. There is something very simple yet refined about his designs that I've played, a removal of complexity and calculation without sacrifice to the strategy, and always just the right balance of luck. One of the first games I played of his was 1993's Freight Train which involved getting majorities in the various types of cards, an idea he probably smartly "acquire"-d from Sid Sackson. And although I still love Freight Train, the manner in which the cards are drawn during play for collections can make for some very slow and agonizing decisions. Freight Train was a bit of a card game version of his game Airlines from 1990. I never played Airlines but I owned its successor Union Pacific for many years and enjoyed its clever but overly long gameplay. Just before Union Pacific arrived, Moon had rebooted Freight Train as another card game called Get The Goods (or Reibach & Co. in Germany). The goals and scoring were very similar to Freight Train but the gameplay was much, much faster making it far more accessible. Jump ahead more than a decade and Moon decided to update his Get the Goods design again (probably at the same time he's thinking about his redesign of Airlines and Union Pacific). 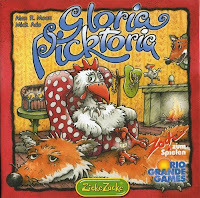 And now we have Gloria Picktoria, a rather silly-looking game with Zoch's now famous chickens, cleverly illustrated as always by Doris Matthaus. And Gloria Picktoria really is mostly just a remake of Get The Goods. But there is one change, a small but important addition that takes an already great little family card game and makes it a suspenseful, agonizing 30-40 minutes of pure awesome. Seriously. So if you haven't managed to play Freight Train or Get The Goods, the main idea behind the games is pretty simple. There are 10 or 11 different types of cards in the deck with about 9 or 10 of each and you're trying to play them face up in front of you to gain majorities in as many as you can. During the scoring, for each of the different types of cards, the player with the most gets a set number of points (2 or 3 depending on the game) and the second place player gets 1 point. And that's basically it. In Freight Train the players play through most of the deck in each of the three rounds and the cards are drawn during the game by taking the top cards from face-up rows of cards revealing others for the opponents to grab leading to the long calculations. In Get The Goods and Gloria Picktoria, however, players draw from the draw pile or take one from the three face-up cards. Very simple and MUCH quicker. As well, in GTG/GP, on each turn they have a certain number of actions that they must use to draw cards into their hand, start collections by using cards for place markers, and/or add cards to their different collections. So basically they are all games of getting majorities in as many rows as possible. This leads to various not-so-simple choices with only a limited number of turns. In GTG/GP, similar to Union Pacific, there is a clever timer counting down - ten scoring cards shuffled randomly into the deck which seem to show up at the most inopportune moments. The game is halted immediately for scoring when the 4th, 7th and 10th show up and this adds a surprising amount of tension to the game. If there's 3 scoring cards already up, should you take that really good wild card from the draw pile and risk drawing the 4th scoring card? Or should you rush and play your cards to the table for a majority as they only count at scoring if they are played face up? It's a simple idea but adds a push-your-luck element that makes for some tough decisions. And up to this point, as far as I can remember, Get The Goods and Gloria Picktoria are pretty much the same game, a very good one, offering lots of interesting decisions, interactions, and suspense without much complexity. Where Gloria Picktoria really takes off from Get The Goods is in the small addition of a wooden fox. And it adds only a minor rules addition but it doubles the anxiety of the original. Where the scoring cards already made things ugly, the fox acts like a hot potato, jumping from one collection to the next causing whatever collection its on to be worthless. It's simple but very effective. When it gets to your turn, the player to your right has been nice enough to place the fox on one of your collections. So now you have a choice: waste an action or two moving the fox off your most valuable collection (and your neighbour will ALWAYS place it on your most valuable collection) or take your chances in drawing cards in the hopes that a scoring round doesn't occur on your turn. If only 1 scoring card has been pulled then it's usually pretty safe, but if there are 9 scoring cards and you really need to grab that one face-up purple to gain a majority in the collection before the end of the game, well, then it's a different story. And in a game where people often win by one or two points, it can be a really tough call. Add to that the fact that you have to use all 3 of your actions every turn but you lose points at the end for cards in hand and empty collections, and the last 5 minutes can be delicious, vicious agony. It should be clear by now how much I enjoy this little card game. It's been revised and rebuilt many times and I think this version is by far the best. The addition of the fox, possibly the contribution of the second designer Mick Ado (pseudonym? ), makes the whole thing feel like a good old game of Hot Potato. And it's the first time I've seen this childhood game so cleverly encapsulated in a card game. Now, okay, it's not a game of deep strategic subtlety but it is a game of observation, tactics, and effective use of your limited actions. And it's also a game of some luck but in a round that lasts about 30 minutes, it only makes for more fun. This game has been a hit for me, usually with the optimal number of 4 players (although 3 and 5 are fun, too). After my first play of the it, another round was immediately requested and played and I was asked politely to "please, bring this game back". Amongst our friends, all that has been requested for the last couple weeks has been what we now call "Chickens" (we also always call Circus Flohcati "Fleas"...) It's a very good game, nay, a great game and probably the best filler game I now own. 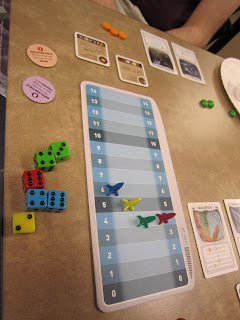 Having played my lovely new copy of Airlines Europe last week, which is another great game and a vast improvement over Union Pacific, I'm still glad I have "Chickens" to thoroughly scratch that itch when I only have a short play time. 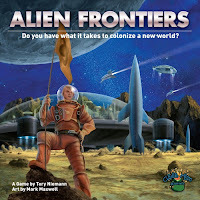 If you like Alan Moon games, then this is a no-brainer, and even if you don't, you'll probably find something to like here. Fun, fun, fun little card game that makes your stomach churn like you're playing a game of Pandemic. You really should check it out. 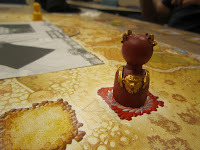 On Monday night at our local games night, I got to play the wildly overproduced Days of Wonder game Colosseum. And overall I enjoyed it although it dragged on for more than two hours. But I couldn't help feeling that there were just too many details, too many pieces, and too many options - I felt that it could have been pared down. 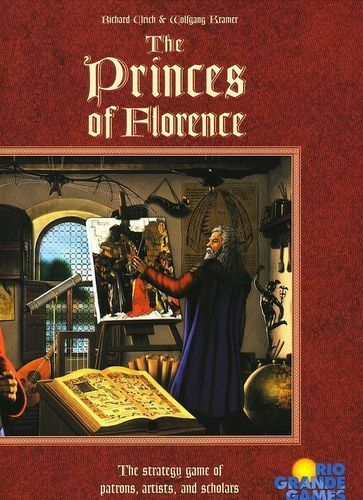 I had that nagging feeling that I'd rather just be playing The Princes of Florence, which this game seemed to be based upon. Not surprisingly, I then noticed that Colosseum, like Princes, is a Wolfgang Kramer collaboration and it kinda made sense that this felt like a remake. But there is something far more elegant and tightly woven about the mechanics in Princes compared to Colosseum. In Princes, one spends 7 rounds (2 more than Colosseum) trying to build beautiful works of art but the choices are simpler and quicker yet much tougher and the player interaction, although subtler, affects play more. Princes remains one of my favourite games, despite rarely being played now, and it has always struck me as the pinnacle of design, a true work of art in a similar sense that a mathematician might consider a gorgeous proof. What designs do you consider elegant, artful, masterful? Why? I've also vowed that Airlines Europe is the last game I will buy until Origins at the end of June. Seriously. Hold me to it. It arrives by the end of the week. Can't wait. Another evening of games at UW (Mondays at 7, if you ever wanna join!) and a pretty decent crowd. The usuals got played like 7 Wonders and RFTG, as well as Vegas Showdown. 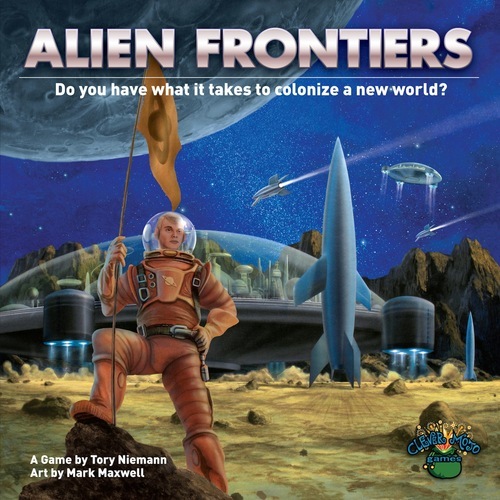 I also managed to badger people into playing the two newbies that I brought: Alien Frontiers and The Secret of Monte Cristo. 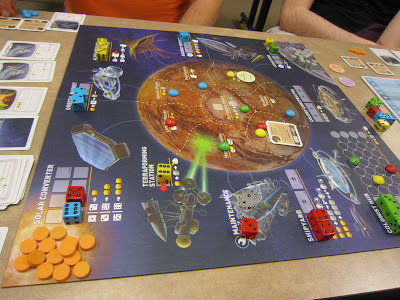 My second game of Alien Frontiers was as good as the first and everyone enjoyed it. It actually moves at a pretty decent clip once everyone knows what they're doing and it kinda has that perfect balance of offering lots of room for strategy and choices without it ever becoming overwhelming. That, and the final score was 7, 6, 6, 5, which is just awesome. 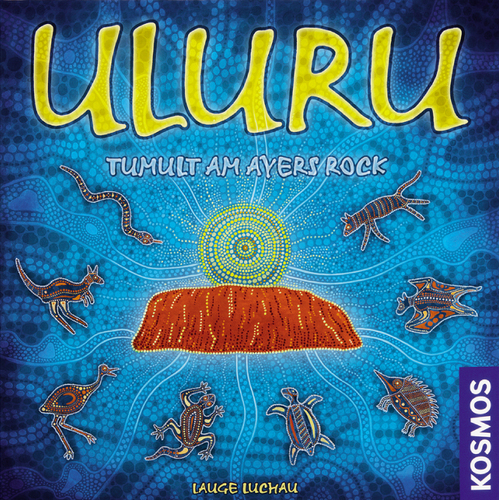 Great game, loads of fun, and easily one of the best dice games out there. The Secrets of Monte Cristo, on the other hand, was quite the overwhelming experience. Not complicated at all but trying to figure out an optimal move.... Oh boy. We all left kinda scratching our heads but agreeing we wanted to play it again. I think the best player won, but I'm still not sure. It makes for a very interesting little meta-game but I don't think any of us played the timing of it very well. 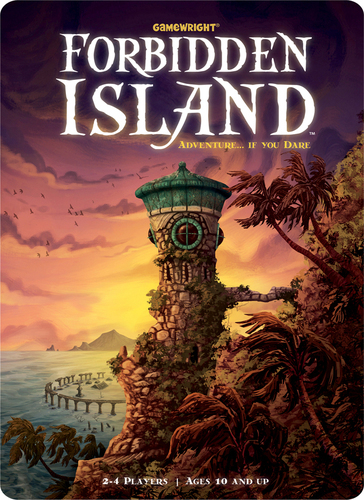 In any case, quite fun despite the confusion and looking forward to playing this one again. Here's a trailer for 'Under The Boardwalk' the new documentary coming out about Monopoly. It's actually been getting very good reviews. And you know, despite the title of this here blog, I really do believe to each his own. If you can actually play Monopoly and play it strategically and enjoy the act of rolling and moving and rolling and moving and rolling and moving, then I say great. All I ever felt when I played was the uncontrollable urge to flip the table and scream because I'd stupidly agreed to play this neverending game ONE MORE TIME and Lady Luck was yet again crapping directly down my throat. Too directly confrontational. I tried to convince her that it was just about pleasing the dragons, but she's smarter than that. The title is an acronym that stands for Space Pirate Amazon Ninja Catgirls. If that sounds entertaining to you, then you should put down the water pipe and check into a rehab facility. Because that's stupid. Fourth, it is not played by fanatics. Are you sure you wanna call that Grand Tichu? Submitted without comment for inspection: the scores from our Tichu game Thursday night followed by the scores from the losing team's requested rematch on Friday evening. I was DEFINITELY on the winning side of this one. ....and yes, it really is THAT good. 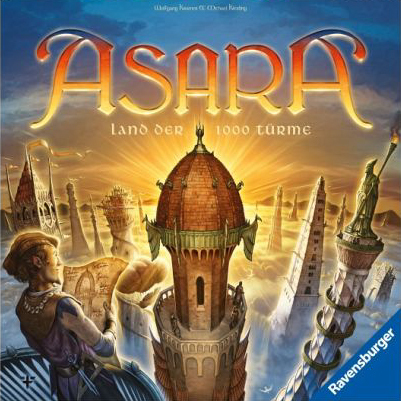 Easy-to-explain rules but with what seems a great depth of strategy, mechanics that are as tightly interwoven as classics like Agricola or Princes of Florence, and a back and forth race-to-the-finish feeling that hearkens back to Settlers (minus the mind-numbing endgame). 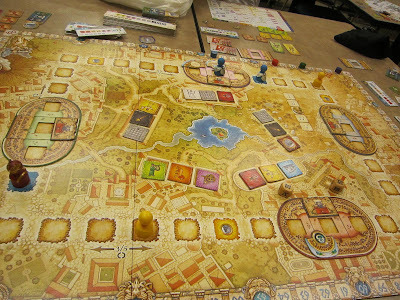 And just enough die-rolling to keep the game as fun and thrilling as the recent Lords of Vegas. Brilliant. Seriously. It feels like this game was playtested for years and years before the final version was ever even considered. And don't even get me started on how nice the components: the board, the dice, cards, rules, and every other single thing in the box. Top notch. This one was definitely worth the wait and I can't wait to play it again. An immediate classic. 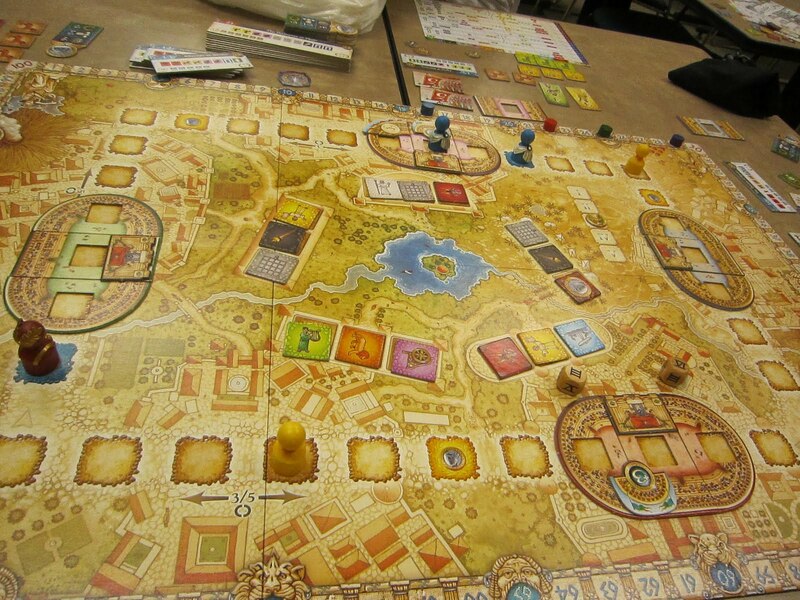 Casual board games tend to get a bad rap. 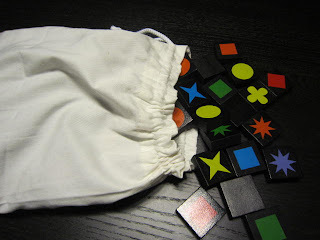 You know, games like Rummikub, 10 Days in the USA, or even Scrabble tend to be the type of games one would play at a cottage: easy to setup, not too long or intense, and something you can walk away from if necessary and come back to without losing your place. 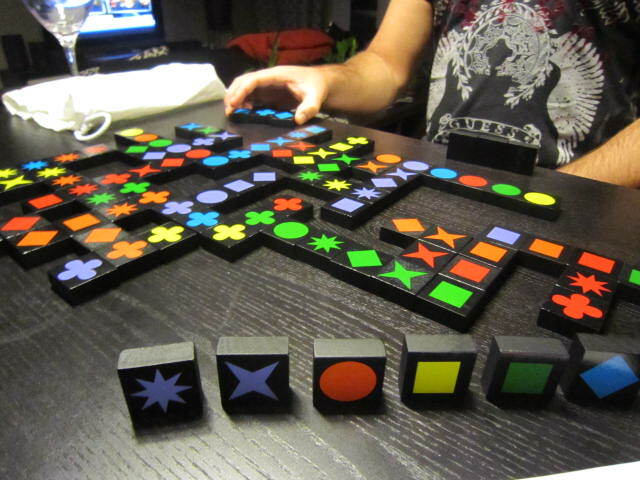 Qwirkle is one of those games, simple yet strategic, but not something that will leave you with a headache. And if your mind drifts a little when it's not your turn, you can quickly study the board and your tiles to find your way back. All in all, it makes for an altogether pleasant and even aesthetically pleasing experience which we've come back to frequently in the last little while. So how does it work? Well, if you've played Scrabble at all, you'll feel right at home here. Tiles are laid out in the form of "words" in an ever expanding crossword, although there is no board to play on or bonus spaces to cover this time. I use the term "word" very loosely as there are no actual letters in the game, only symbols in 6 different varieties and 6 different colours. And this is where anyone who has played Set, the brilliant lateral-thinking card game, will also feel right at home. Each word consists of all the same type of symbol and all different colours or all the same colours but all different symbols. 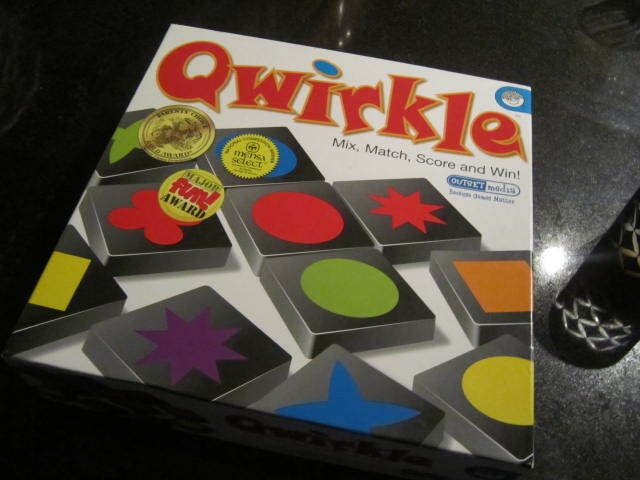 So immediately one notices that a word can be no longer than 6 tiles, and when it is 6 tiles long it is called a Qwirkle (seriously) and earns a big bonus. And that's really it. The scoring is simple - 1 point per tile in every word made and possibly a 6-point bonus for making a Qwirkle or ending the game. To say that these simple rules lead to a very deep game would definitely be exaggerating, but there is a surprising amount of tactics and timing required to play for the big scores. 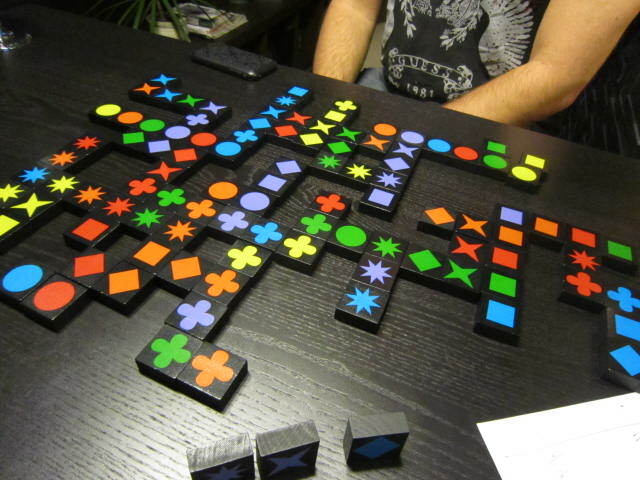 There are always decisions: whether to play a 5-tile row and risk giving someone else a Qwirkle or hold out out for the other players to set you up instead, should you give up a turn and possible points to draw some new tiles in the hope of a bigger score, or even just considering the options on the board and your tiles to nail the biggest score. At no point will this be brain-burning but there is definitely enough thoughtfulness to keep the game quite engaging. In fact, the gameplay often feels like a more relaxed version of Ingenious, except that it doesn't feel as decided before the end of the game. Yes, there is a big luck element, but with thoughtful play the best player usually wins out. So I've spent the last 6 days laid up with a rather wicked cold which is kinda new for me and the reason I haven't been posting. I don't tend to get sick and when I do it usually only lasts a day or two. But this one is a stinker. Oh well, I'm slowly on the recovery. But unfortunately it also means that in the last 6 days, the only games I played were a couple rounds of Tichu and Black Friday last night. Not a good week. But as I stayed home sick on Friday (my first sick day in over a decade, mind you), I spent the day reading up on the recent Gathering of Friends. Turns out Alan Moon's latest invite-only 10 day game-a-thon happened right nearby in Niagara Falls, New York. Man, how do I get invited to these things?!?! Ah well, I think I need to invent a game or ten to get the VIP status necessary. Still the updates at OG (here and here) have been interesting and they have mentioned a few new games coming out. 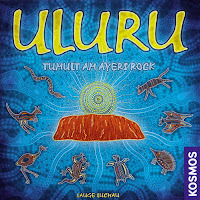 Airlines Europe, of course, sounds awesome as does Uluru, a funky little speed puzzle game that I must get my hands on. 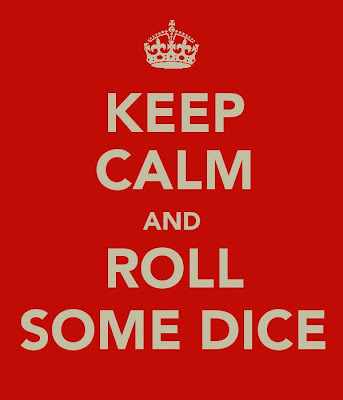 Feeling a bit better now so I expect to force everyone around me into some heavy boardgaming action this week.